The perfect size for a cheese and cracker break. Add wine and you have a celebration. 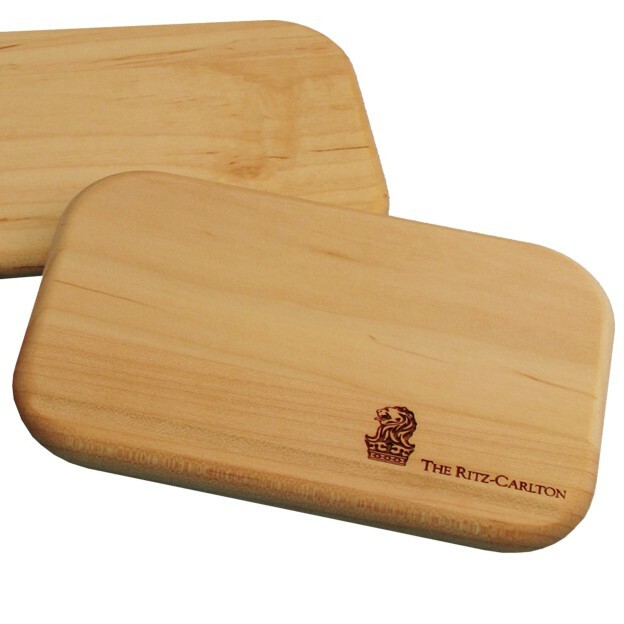 The maple board is treated with FDA approved food-safe oil and is a full 1/2" thick. Add your logo with permanent laser engraving. Price includes a one position laser engraving, care instruction card and a gift box. Laser area: 3 x 1"